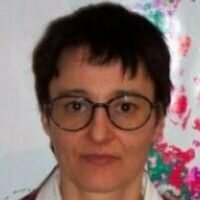 Christine Le Bas is a research engineer specialized in spatial soil data bases management and use at small to medium scales (1/1,000,000 to 1/250,000), including spatial estimation of soil parameters for modelling with use of pedotransfer functions or rules for several thematic studies. She participated also to several thematic studies at French or European level concerning mapping of land potentialities, grassland production, soil compaction risk, etc. WP4: Task 4.2: Quantifying the supply for Soil Functions.